This trip lasts approximately 2 hours and covers up to 12 miles. 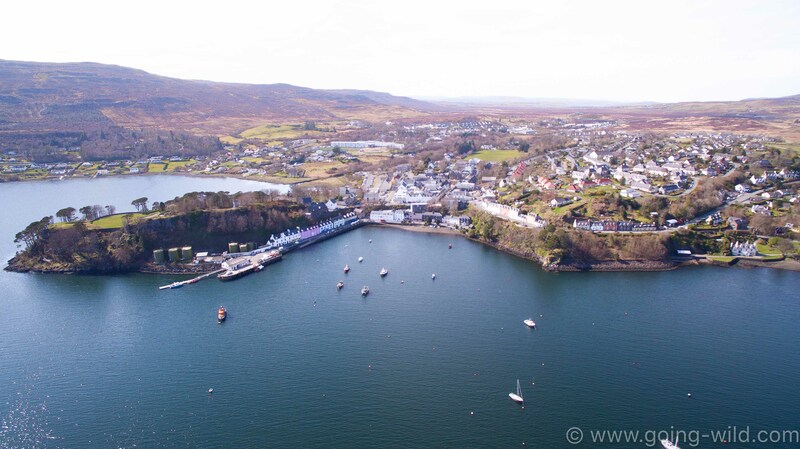 Leaving Portree Harbour we sail by the sandy beach at Camus Bhan then on through Portree bay past the old village of Score and into towards the Scarf Caves where there is an abundance of birdlife including Shags, Cormorants, Black Guillemots and Rock Doves to name a few. 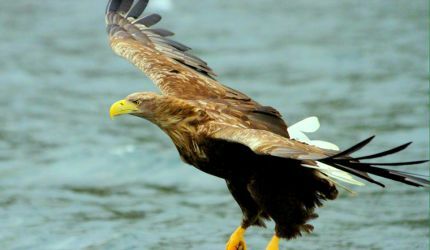 From here on is the area where we generally encounter the White-Tailed Eagles and the stunning scenery of the Sound of Raasay. 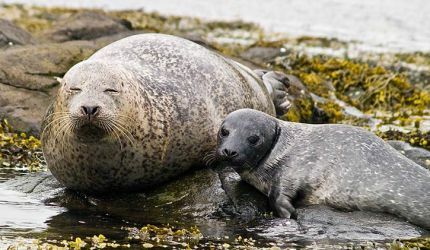 We then sail on to a seal colony off the West side of the Island of Raasay. 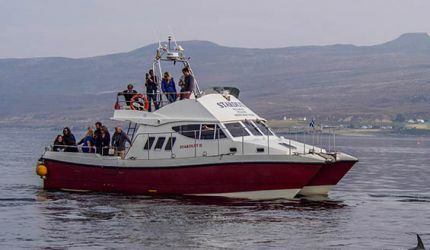 On the return journey we take in as much of the wildlife that is available on the day with regular sightings of Dolphins and Whales during the summer months. Please note that this trip is subject to variation depending on sightings and weather conditions. Unfortunately there is no wheelchair accesss for this trip. This trip lasts approximately 2 hours and covers up to 20 miles. 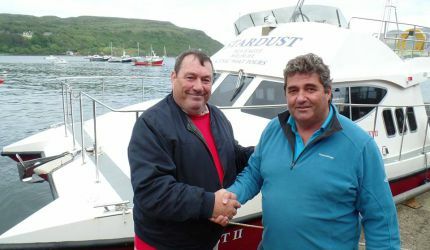 Taking advantage of the size, speed and sea keeping qualities of the STARDUST II - we can now go further afield to take in a lot more wildlife and scenery. 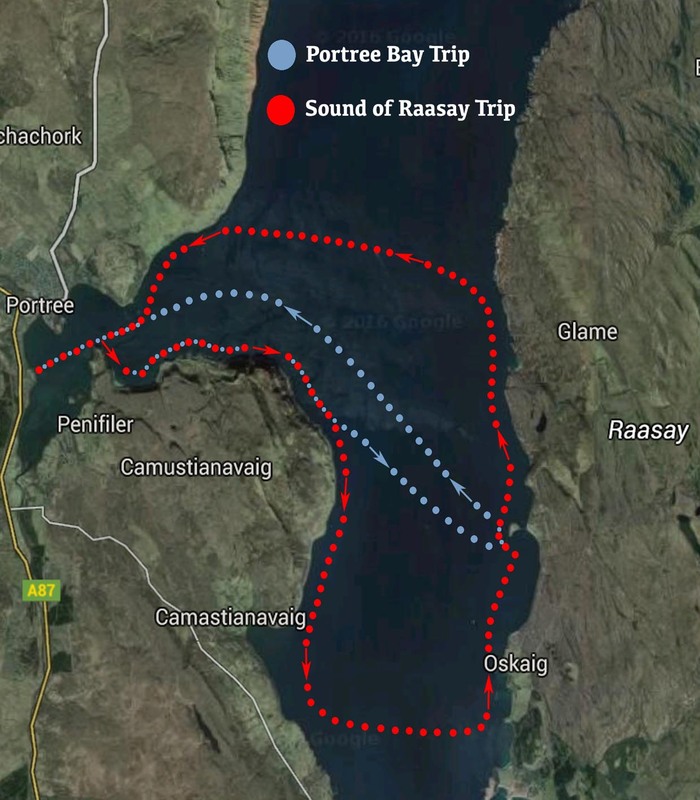 Depending on reports, sightings or weather conditions we can decide to go North or South into the Sound of Raasay. As we cover a greater distance this trip gives us much more opportunity of encountering other Wildlife including our resident White-tailed Eagles and Seal colonies. The Queens Beach, Red Caves, Loch Arnish, Isle of Fladda, Grianna Sgeir Seal Colony, Views of the Trotternish Ridge and the Old Man of Storr, Holm Island, Bonnie Prince Charlie’s Cave, 320 metre high Seacliff’s and our local Salmon Farm. 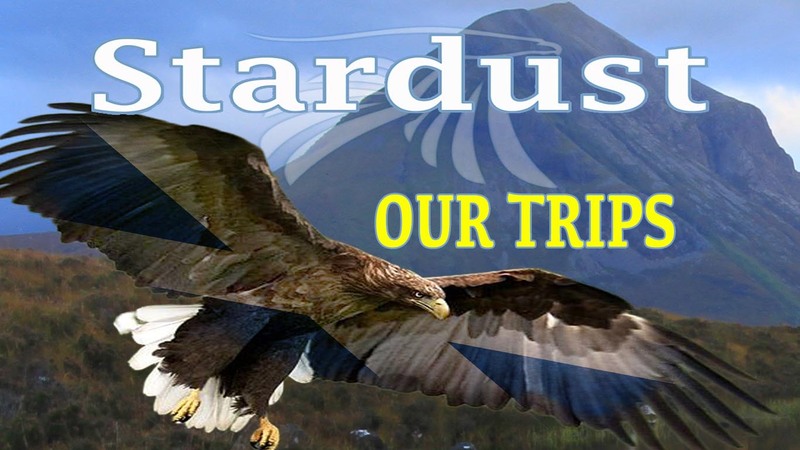 Clach Dubh, The Foulin, Ben Tianavaig Crags, Red and Black Cuillins, Camustianavaig Bay, Duncaan, The Braes, Raasay House, Scotland Bay, Sgeir Grappach, Holoman Seal Colony, Queens beach, 320 metre high Seacliff’s and our local Salmon Farm.